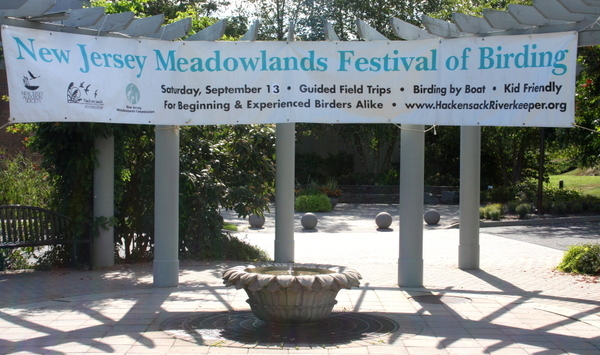 The big banner went up in DeKorte Park’s Butterfly Garden last week — letting everyone know that the big Meadowlands Festival of Birding is less than two weeks away now. For more information about this event, sponsored and hosted by the Meadowlands Commission, click here. Coming soon, a video of Harrier Meadow, one of the many attractions of the fest.